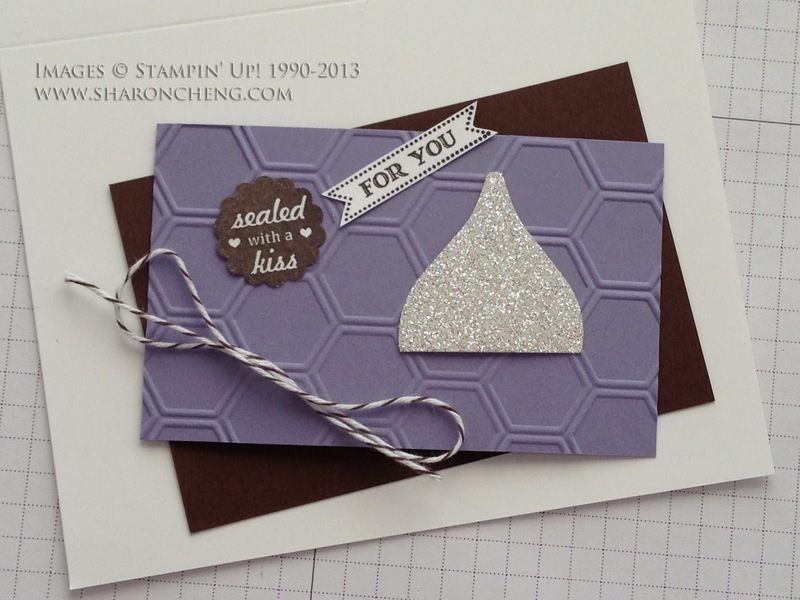 This Sealed With a Kiss card is easy to make thanks to Stampin' Up! 's Blossom Petals Builder and the 7/8" Scallop Circle Punches. 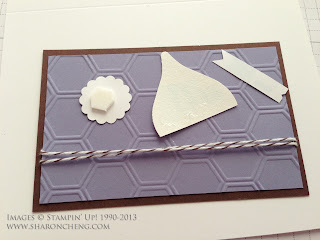 Christi Beck and I decided to use this card as our Stampin' Up! Take and Make at the Scrapbook Expo at the Gaylord Texan. It's a Take and Make because after you stamp and punch the items, you can take it home to assemble. Here are the instructions for the card. 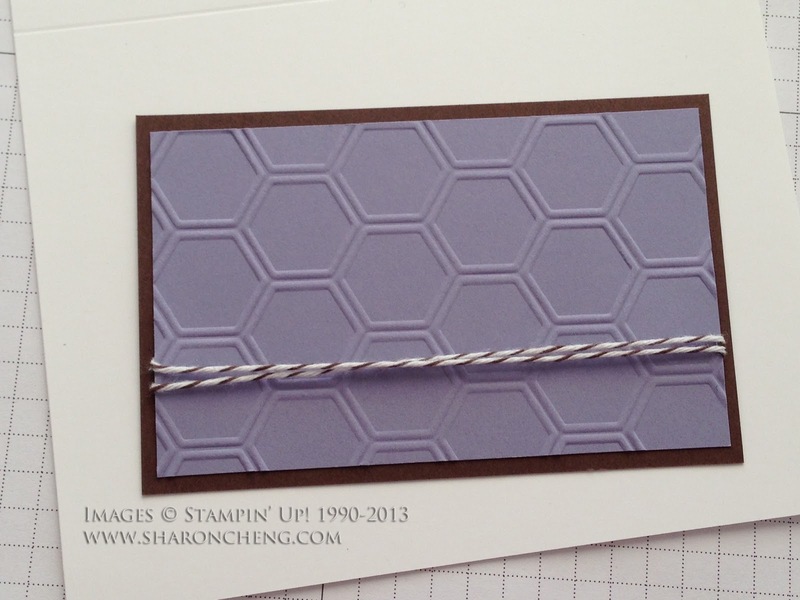 If you didn't get one of our kits, cut Whisper White card stock to 8 1/2" by 5 1/2" and fold. Cut Early Espresso card stock to 2 3/4" x 4". 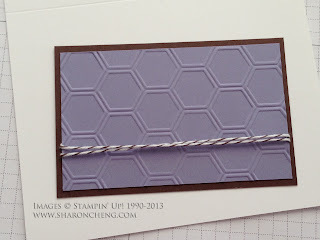 Cut Wisteria Wonder card stock to 2 1/2" x 3 3/4" and emboss using the honeycomb embossing folder. The Early Espresso Bakers Twine is cut 10". Note, Christi and I designed this card together and each cut half of the kits. The funny thing was that she cut her Wisteria Wonder and Early Espresso a slightly different size. So we each put our personal touch on our kits! They look the same at the end. 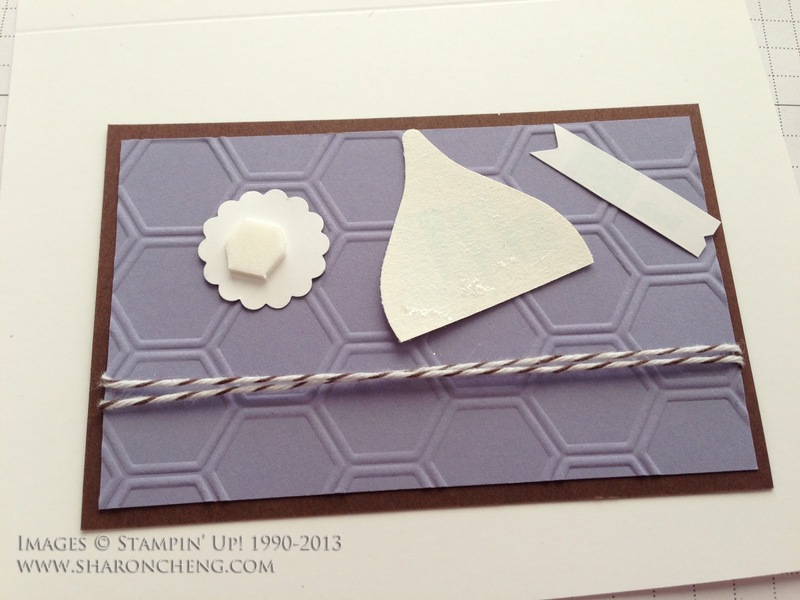 Punch the kiss out of silver glimmer paper using the largest petal in the Blossom Petals Builder Punch. 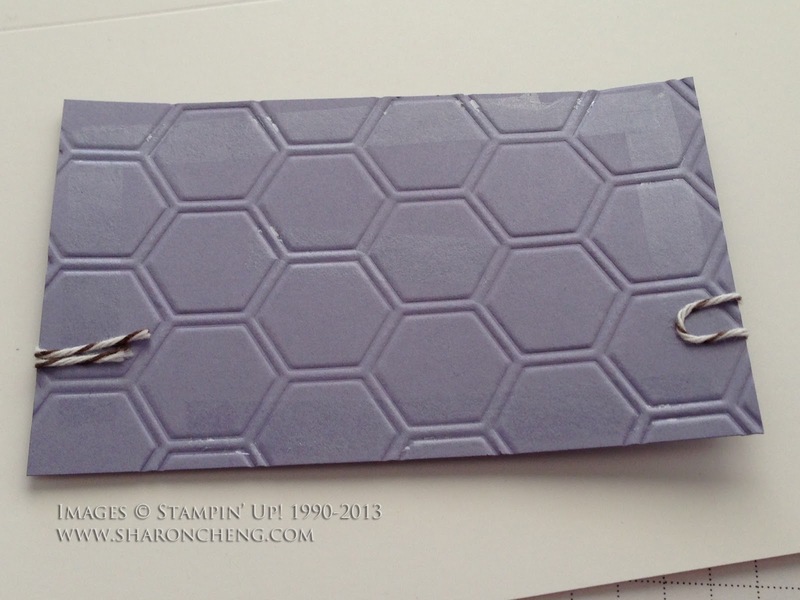 When you cut a 1 1/2" strip of silver glimmer paper, you can line up the paper in the punch to make the kiss by leaving out the scalloped end of the petal. 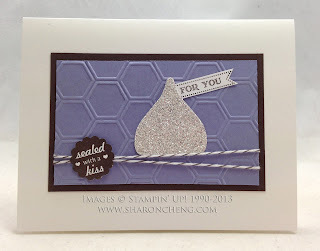 "For You" comes from the Itty Bitty Banners stamp set and "Sealed with a Kiss" comes from the new Sent With Love stamp set. Put your adhesive on the back, fold the bakers twine in half and fold to the back. When you turn it over, it will look like this. 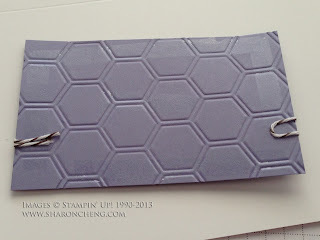 Add adhesive to the other items, including a Stampin' Dimensional on the Sealed with a Kiss scallop circle. Assemble and enjoy your Sealed with a Kiss card.